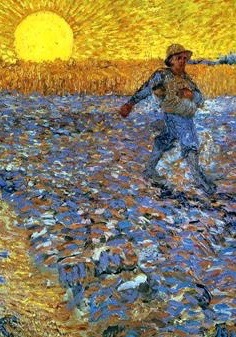 Jesus memorably used this in one of his powerful parables (Mark 4). Both weeping and joy enter the poem from the outset, recalling the sorrows of a people in exile in Babylon, and their relieved delight at being restored to the freedom and familiarity of home. The resonance with today’s displaced persons, their hardship, their hopes, their loneliness and separation, is palpable. The default choice for South Woden, partly because it’s sitting waiting there in the files, is our (somewhat liberal) arrangement of an Orthodox chant borrowed from the Slavonian liturgy as interpreted by the monks of Chevetogne. It uses plain, simple chords in minor and related harmonies that evoke the sound of the Volga Boatmen. However there are good songs in PFAS and other sources. 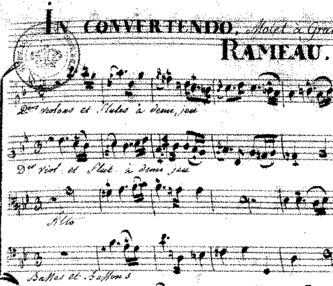 Some interesting settings hide in IMSLP such as the Jean-Philippe Rameau motet shown here, as well as pieces by more obscure composers rejoicing under names like Asola, Converse and Matho. In the year 1800, one Oliver Holden (1765-1844) wrote a tune for Psalm 126, a respectable little hymn, but not antiphonal so not high on our list. It is mentioned here to record the author’s name as one of the more prolific composers of psalms in the United States. He is credited with publishing around 70 psalm tunes in that one year alone, and many more. The gentlemen’s group will present the Orthodox style chant. The refrain is: “And our hearts are filled with joy”.